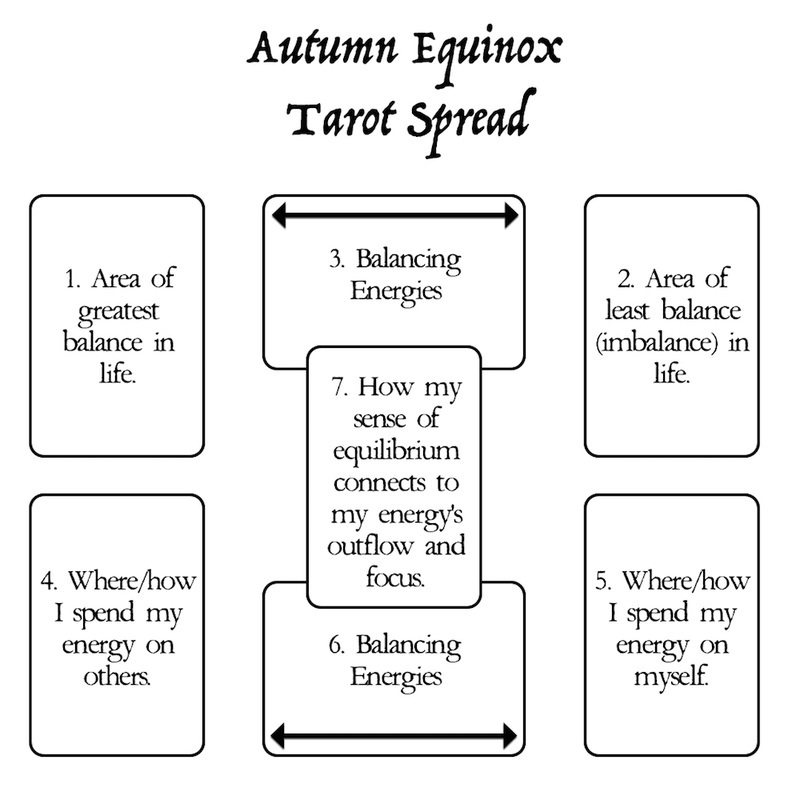 Hello beautiful friends, here is a tarot spread for all you aching artists out there on this autumnal equinox. I have felt very out of sorts this month with so many changes in my usual routine, between jobs ending, the kids I nanny for going back to school, creative work not panning out the way I had planned, etc. But we are finally out of Mercury retrograde (yay!) so it is time to restore some sanity to our lives, and equinoxes are all about balance, when the day and night are of equal length. 2. Eight of Chalices - that there is strength in our emotions. The adventurer here is leaving his past behind, supported by a staff of chalices, the symbol of emotion. He walks into the unknown, and here we are out of balance. We are afraid for the future, a completely reasonable place to be with the current presidential election looming closer in the coming weeks. It is time for us to get in tune with our emotional selves as we have been so focused on the outside world. 3. XVIII The Moon - This card is one of reflection, of a world turned upside down or inside out in the night. The energy to take from The Moon is one of careful contemplation, seeing things for what they really are, or in a new light. It is time to confront what you have been ignoring in the bright days of summer as the nights get longer. 4. Four of Swords - As artists we are vessels for stories, always listening and observing and absorbing the chaos around us in an effort to make a more peaceful, harmonious world. Our energies, when turned outside of ourselves, are focused on maintaining a contemplative environment, a world that harnesses its power for prosperity instead of strife. 6. Three of Chalices - We are members of that joyous community, working to create that harmonious world. We cannot isolate ourselves in the darkness of the coming months but must, as we did in summer, find a balance between our own desires for hibernation and the isolation that can bring. Reach out to your community, and be that wise pillar and receptacle for experience with others to create something new and beautiful. 7. Eight of Wands - This card reminds us of two opposing forces: that we have accomplished much, traversed difficult paths, and make it to solid ground, but we are not yet done. There is more work ahead to reach our goals. The balance here comes from recognizing our progress and achievements while always striving for more. Energy will flow from us, to accomplish more, when we realize what we have already achieved within. Focus on how far you have come, and that will inspire you to go further. May your Mabon or Autumnal Equinox be a blessed one, friends, and may balance be restored to your lives as Mercury returns to its direct path today. I am two days away from a week-long vacation, and intend to use that time to realign my energies for a fresh look at the work ahead (time to pull the play out again) when I return. What energy will you change as the leaves change?